Eurostar trains from Paris to London were hit by cancellations and "severe delays" on Sunday as French customs officers staged work-to-rule industrial action. Customs officers are demanding higher pay and better working conditions while seeking to demonstrate what might happen if full border controls are put in place once Britain leaves the European Union. 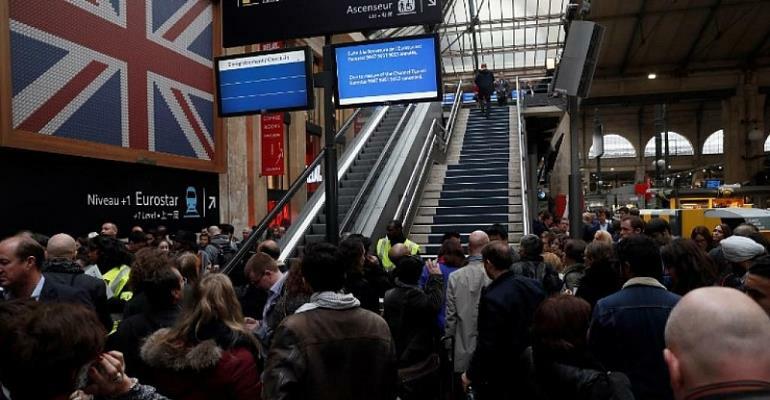 Paris-to-London trains were experiencing "severe delays and lengthy queues for our services," Eurostar said on its website. "We strongly recommend that you do not travel today." “You can change your ticket free of charge to a future date, or claim a refund,” Eurostar offers. Sunday's work-to-rule was just the latest in a string of strike actions by the French customs officers. “Approaching hour four in Eurostar queue,” tweets Katie Caroll, and on a more positive note: “Putting aside the obvious misery, I can't help but marvel at how polite, friendly, and calm everyone is,” she tweets. Brexit is due to happen on March 29 but looks increasingly likely to be delayed as the British parliament is yet to agree on a divorce plan. On Wednesday French unions representing the around 17,000 customs workers rejected a government offer of a 14 million euro payroll boost, saying it was insufficient.